American anxiety over healthcare costs and obesity continues to fuel public health advocacy for increased taxes on sugar-sweetened beverages and other unhealthy foods. Proponents of imposing higher taxes on unhealthy food products, such as soda, claim they are a necessary and effective strategy for modifying consumption behaviors and improving health outcomes. The logic is that a tax will make unhealthy foods more expensive, thereby deterring people from consuming them in excess. Advocates argue that excessive consumption of sugar-sweetened beverages not only harms individual health, but also induces increased healthcare costs that cause societal harm. Since rising healthcare costs negatively affects the public, they propose that governments are justified using fiscal policies to intervene to nudge individuals to change their dietary choices. This logic has persuaded residents of Berkeley, Seattle, and Philadelphia to vote in favor of implementing a sugar-sweetened beverage excise tax. Despite fervent support from public health advocates many people remain skeptical of imposing excise taxes on sugar-sweetened beverages as a public health solution. I have to admit, when I was first exposed to the concept of “nudging” and soda taxes, I found them appealing. However, after in depth reflection about my values as a public health scholar, my perspective has shifted. In late 2017, Cook County repealed its sugar-sweetened beverage tax due to intense opposition after the tax failed to live up to expectations. A major concern of using taxes to shift dietary choices is their disproportionate impact on low-income households. Higher prices on consumer goods disproportionately affect households of lower socio-economic status than wealthier households. This concern for equity was explored in a recent Lancet article, which has been touted as “a new weapon in their battle against sugar” by a review published in Fortune. The authors of the Lancet article conclude that although price policies DO often bear the largest tax burden, governments can justify this burden if the estimated health benefits of decreased consumption are likely to disproportionately benefit poorer households. This moral trade-off assumes that sugar-sweetened beverage taxes are effective at improving diet patterns and health. However, this assumption is just that-an assumption- since the evidence in support of substantial behavior changes or health impacts is weak. Even so, when it comes to public health, debating the equity of excise taxes of unhealthy food products misses the forest for trees. Taxing unhealthy food items to modify individual behavior is part of a neoliberal trajectory in public health discourse. Neoliberalism is the prevailing political-economy paradigm that emphasizes free-market consumerism, individual responsibility, and minimal government spending. A variant of neoliberalsim, referred to as libertarian paternalism, legitimizes the role of private and public institutions in using market-based strategies to influence private behavior so that an individual’s freedom of choice is maintained. Fiscal policies, such as excise taxes, are a market-based strategy that nudge individuals into taking responsibility for their health are a form of libertarian paternalism in public health. The push for increasing taxes on food items deemed unhealthy is occurring in midst of a larger political-economic wave of tax cuts for wealthy households and corporations, increased corporate consolidation, decreased public investment in education, calls to cut investment in Medicaid and privatize Medicare, restrict SNAP eligibility, threats to environmental regulations, and persecution of labor rights–all policies that contribute to increased economic insecurity that leads to stress (weight gain) and decreased ability to purchase adequate healthy food. This neoliberal agenda erodes an institutional environment that provides the greatest support for health while painting soda-drinkers as social deviants. It is within this context that The Lancet article argues that even though increased price of soda disproportionately affects people of low socioeconomic status, soda taxes may be just because these same people may realize greater health benefits than people from higher socioeconomic statuses. But is the fact that low-income individuals might benefit more in terms of health from this policy enough to claim that the policy is just? Neoliberal public health strategies that aim to “fix” a single behavior (drinking soda or eating junk food) are reductionist in nature and ignore the underlying socio-cultural determinants of behavior and health. This paradigm of public health views solutions to complex phenomenon like health in terms of singular components isolated from the larger socio-political context. It penalizes people for “what they do wrong and what they fail to do right” while conceptualizing health as an individual responsibility rather than a right or public good. Conceptualizing health as an individual responsibility that governments can encourage through taxation distracts the public health discourse from advocating for strategies such as investment universal healthcare, public education, and living wages. Unhealthy diet patterns and poor health outcomes are in part a symptom of deeper structural factors exacerbated by neoliberal policies and cannot be resolved simply by taxing “bad” food items. When arguing in support of increased soda taxes, public health advocates often lament the power of “Big Sugar” or “Big Soda” and suggest that the increased cost to consumers, and theoretical decrease in purchases, will shift enough revenue away from large beverage corporations to curb their control over people’s dietary choices. Again, this deflects the public health discourse away from more effective strategies for curbing corporate power like enforcement of anti-trust laws or support for labor rights and casts the individual in the role of starving the beast. It also overlooks the role crop subsidy policies play in making sugar so cheap to begin with. Focusing attention on taxing soda instead of the root causes of extreme corporate power feeds into the neoliberal agenda of deregulation at the macro level that further increases concentration and power in the food industry. The exact opposite of what public health advocates claim they are fighting for. Wellness, and not the individualized form of it popularized by self-help health gurus, offers an alternative paradigm through which to think about public health policy. It is a holistic and affirming process that focuses on cultivating factors that support human health and well-being, rather than on just preventing factors that cause disease (i.e., drinking soda). Wellness is a function of, and must be understood in the context of, justice at the interpersonal, organizational, and community (national) level. This goes beyond merely debating the equity burden of a soda tax and forces us to look at soda taxes within a larger institutional environment that determines resource distribution among members of a society. Public health professionals should concern themselves with the wellness implications of sugar taxes in terms of justice and systems that support people to have healthy lifestyles rather than penalizing them for the choices they make within the context of systems or environments that are unsupportive of healthy lifestyles. Procedural justice is concerned with how resources are distributed to members of society. It is possible that resources can be distributed to low-income households in paternalistic ways that do not affirm dignity. Penalizing low-income individuals for their soda consumption with additional taxes may raise revenues for public institutions to provide nutrition education or fruit and vegetable subsidies to “benefit” these households. But who has the power to determine what constitutes a benefit, or which benefits are valued more highly than others? This resource allocation decision is often made by powerful individuals or institutions to serve their own agendas rather than by the individuals most affected by poor health and/or soda taxes. Therefore, imposing soda taxes to nudge low-income soda-drinkers into changing their behavior and justifying it by “giving” them nutrition programs do not cultivate wellness in the big picture. To truly promote wellness, resources should be distributed to those most in need through procedures that are just. Soda taxes do not meet this criterion. The current discourse on soda taxes as a desirable public health strategy shifts conceptualization of health away from being a public good that is supported by an institutional environment consistent with standards of distributive and procedural justice. Viewing health as an individual responsibility divorced from one’s social environment further marginalizes disadvantaged populations and reinforces current health inequities. Public health advocates should consider the following wellness-oriented guidelines when supporting public health policies: (1) look at the public health data differently: instead of looking at populations who have succumbed to a problem like diabetes to find out what they are doing wrong, look at those who are succeeding and try to find out why they are doing well; (2) persuade policy-makers to consider outcomes related to success (e.g., greater consumption of fruits and vegetables), not just outcomes related to problem reduction (e.g., decreased soda consumption); (3) elevate the importance of social justice and consider the harmful effects to health and wellbeing of reductionist policies that penalize or demonize people for health-related lifestyle choices; and finally (4) stimulate the development of innovative policies that cultivate the environmental and institutional conditions for these desired outcomes to occur. Public health advocates need to look beyond soda taxes and use their political capital to advocate for investment in systems like universal health care, public education, and living wages if they are truly concerned about health and equity. This entry was posted in Uncategorized and tagged health, nutrition, social justice, soda on April 12, 2018 by foodkindness. Shortly after starting my first semester as a PhD student, I came across an opportunity to get involved in a community food system research project as a data collector. It was a collaboration between a local food coalition, nutrition scholars, and city officials. This was just the type of experience and connections I felt I needed to begin establishing myself as a researcher within a new community and among faculty in my field. Instead, it ended up being a lesson on establishing my ethical boundaries as an emerging researcher and evaluator. The lead researcher on the project was an assistant professor from a large university in the South. In this post, I will refer to her as Dr. Susan. I had little background on the project, so I asked Dr. Susan about the research questions guiding the data collection. She stated that she was working with the primary stakeholders and that they just wanted to do an “assessment”. I pressed for a more precise answer, but it seemed that she either didn’t know the purpose of the study or that the stakeholder group really didn’t have a clear purpose in mind. This was just the start of my discomfort. We moved on to discussing the data collection instruments. As we read through the survey items together, there were several that required explanation because of ambiguous wording, so I pressed for clarification. By the third or fourth unclear item, Dr. Susan appeared to be impatient. She instructed me to let the respondent decide what the item means to them, or to have them “think about it hypothetically” if it did not pertain to their life experience. I was frustrated. If I had trouble interpreting the items as a PhD student with a nutrition background, what did that mean for the reliability of our data among a less-educated population? Finally, we came to the demographic items on the survey. With the exception of the income questions, none of the demographic items included a response choice of “prefer not to answer.” I asked Dr. Susan if she wanted to make them consistent by adding a “prefer not to answer” response option to the other items. She declined. I followed up and asked if we could include an introduction to the survey where we could inform respondents of their right to decline to answer any questions, without risk of losing their monetary incentive. Dr. Susan explained that if we let them know they have the option to skip questions, then they might choose to not answer some of the items and we would have missing data. I could feel my muscles tightening and a feeling of panic. I left the meeting anxious and unsure about continuing with the data collection. On the one hand, I really wanted to build a relationship with the food and nutrition community in this city and worried that backing out of the data collection would make me appear difficult or arrogant. But, the ethical gnawing in my gut was keeping me up at night. Fortunately, my professors had introduced several tools during my nascent PhD career that helped me navigate the situation and make a decision that put my mind at ease. Reflexivity is a critical evaluator competency. In the qualitative methodology class I took during this first semester, we were required to start a journal to explore our growth as researchers. In one exercise at the beginning of the semester, we were asked to write down things that were ethically important to us in conducting research. There was a moment of clarity when I referred back to key words from this statement while reflecting on my options: self-determination, transparency, and autonomy. I also described how it was important to me that individuals providing their data were respected and that I felt the particular methodological choice did not provide voice to the community members. I wrote that it “reinforced a power structure of researchers and government officials deciding on an intervention based on (flawed) data they collect through an instrument that they designed in isolation.” Two themes emerged from my journal entries over those few days: concerns about data integrity and social justice. The concerns I saw emerging in my journal are addressed explicitly in the Guiding Principles of the American Evaluation Association. We were asked to reflect on these principles early on in the semester. Two areas in particular provided the direction I needed to make a decision about moving forward with the data collection. Integrity/honesty: If evaluators determine that certain procedures or activities are likely to produce misleading evaluative information or conclusions, they have the responsibility to communicate their concerns and the reasons for them. If discussions with the client do not resolve these concerns, the evaluator should decline to conduct the evaluation. Respect for people: Evaluators should abide by current professional ethics, standards, and regulations regarding risks, harms, and burdens that might befall those participating in the evaluation; regarding informed consent for participation in evaluation; and regarding informing participants and clients about the scope and limits of confidentiality. One of my concerns was that the poorly constructed survey items would provide misleading information about the population. This could potentially lead to an ineffective and wasteful intervention in this community. Furthermore, without a clear understanding of the purpose of the data collection or provision of informed consent to respondents, I could not confidently conclude that my work would maximize benefit and reduce unnecessary harm. Since Dr. Susan was not receptive to modifying the survey items or establishing informed consent, I felt the right decision was to decline the opportunity to participate in the data collection. Although I felt fairly confident that I needed to let go of this opportunity and focus on research and evaluation work that aligned with my ethical boundaries, there was a lingering feeling of self-doubt. I was a first-year PhD student with little experience. Who the hell was I to question the protocol of a more experienced assistant professor? What did I know about conducting field research anyway? The AEA Guiding Principles provided direction, but was that how evaluation really worked in practice? I turned to a faculty member in my department for advice. I knew this person had made similar ethical choices as an emerging researcher because she had talked about her experience in class. As I shared my experience with her, I felt sensations of vulnerability. My face was trembling like I wanted to cry. She reassured me that this protocol was not business as usual in field research and that even though this project was not subject to IRB review, it should still adhere to the ethical treatment of research subjects. She described three courses of action I could consider: 1) walk away from the project with no explanation, 2) walk away from the project and give an exit interview with the researcher to let her know my reason for leaving the team, or 3) move forward with the data collection and use it as a learning experience of what not to do. Later that evening, I went home and wrote an email to the researcher. I explained that I was unable to continue with the project and communicated my concerns about informed consent, coercion and respect for research participants. 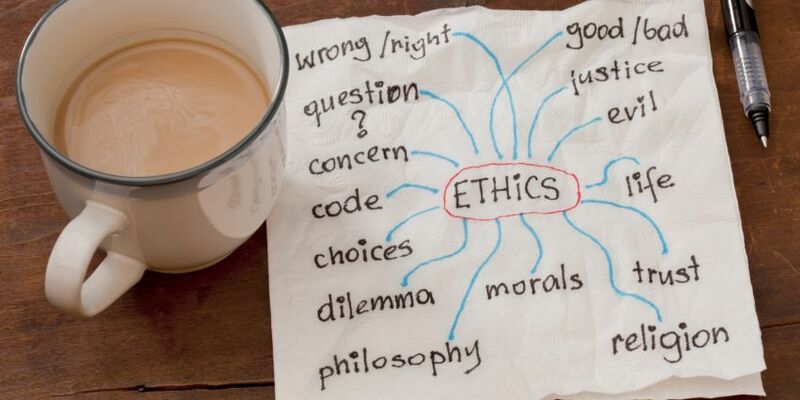 As a learning experience, this situation highlighted the importance of actively articulating ethical boundaries as part of one’s research philosophy early on in the graduate career. I was fortunate that the faculty in my program provided the tools and mentorship for navigating these situations on several occasions early in my first semester. This entry was posted in Uncategorized and tagged ethics, research, social justice on January 20, 2018 by foodkindness. There are no unicorns, and there are no unicorn foods. This was the analogy given by an agricultural economist speaking on a panel about the future of our food system in reference to the fact that we as humans have multiple, and sometimes conflicting, values and needs that cannot be met by one perfect food. Since no one food, or one food system, is likely to live up to meet all of our needs, we ultimately need to make decisions and prioritize what is most important to us. Personally, I have oscillated through periods of shopping at farmers’ markets and supporting local food systems, and also periods of relying on grocery store chains to deliver the most convenient and economical source of daily sustenance. After the book Dark Money, by Jane Mayer, landed on my reading list this past summer, my commitment to community-based food systems once again strengthened as I reflected on the themes of self-determination and economic diversity. This brings me back to our food system. Our predominate, commodity-based, food system has contributed to a dietary pattern disproportionately skewed toward a handful of artificially low-priced foods, namely wheat, corn, and processed meat products. Even within types of foods, variety has decreased. The varieties of cabbage grown, for instance, have decreased from 544 in 1903 to just 28 in 1983. In part, this has to do with innovation in seed production that provides farmers greater certainty in the quality of their product. But it is also the effect of a more highly consolidated food system that demands homogeneity in appearance and transport hardiness. All of this is associated with negative impacts on public health. While this system is arguably highly efficient in delivering calories, it is limited and fragile in its ability to provide workers with a living wage and ensure access to a diverse range of appropriate foods for large segments of the population. Further, its resilience over the long-term is questionable. Resiliency in the food system consists of three key dimensions: (1) the diversity of the food system’s components, (2) the degree to which the components are connected, and (3) the degree of decision-making autonomy within the food system. Significant consolidation of the food system decreases the diversity of its components, including the varieties of foods grown, production methods, distribution channels, employment options for workers. Alternatively, community-based food systems support a wider base of farmers and value-added producers. These smaller, more diverse, networks increase farmer autonomy while building sustained relationships and shared responsibility for investing in the health and prosperity of the community. For example, the New South Produce Cooperative and Grassroots Farmer’s Cooperative in Arkansas connect members to distribution networks, provide technical assistance, and help small farmers raise capital as a collective. This wider base of producers also leads to more diversity in crop varieties, production methods, and employment options that are adapted to local conditions and cultures. If degree of decision-making autonomy among a broad base of producers is a key component of a resilient food system, this brings us back to reflecting on the systematic erosion of public voice resulting from the extreme neoliberal agenda described in Dark Money. Because of the substantial wealth large food companies have accumulated in relation to workers and consumers, they now have a more influential political voice than the majority of citizens. Eroding the impact of citizens’ political voice creates a more controlled environment in which farmers and other food producers may find themselves with limited autonomy over their production and distribution decisions. With limited competition in the industry and few places to look for more favorable contracts, more and more decisions are instead dictated by corporate interests (whether or not it is beneficial for the farmer or local community). Operating under such conditions leaves the base of our food system vulnerable to shocks, disincentivizes innovation, and makes it difficult to adopt beneficial practices critical for adaptation. When an industry becomes too concentrated and competition is diminished, politically powerful companies tend to rely on “special political privileges” rather than invest in the human, social and financial capital creation to build the adaptive capacity required for innovation, ultimately hindering their resiliency and ability to consistently provide stable levels of appropriate foods to the public. Farmers’ markets and locally-owned shops may not prove to be the most efficient way to produce and distribute food. But it can be an efficient way to produce and distribute a portion of our food if we re-define efficiency to account for alternative values like autonomy, civic participation, fairness, and long-term resiliency. So, at least for now, I’ve once again circled back to grocery shopping at farmers’ markets and local shops like my right to self-determination and democracy depend on it. This entry was posted in Uncategorized and tagged community, farming, food, nutrition, resist, social justice on July 13, 2017 by foodkindness. Salutogenesis, Self-determination, and Soda Taxes: What can Positive Health Teach us About Nutrition Policy?